The Department of Industrial Policy and Promotion (DIPP) under the Commerce and Industry Ministry is going to release a new industrial policy, which will replace the National Manufacturing Policy of 2011 by October 2017. The new policy will aim at making India a manufacturing hub by promoting ‘Make in India’. The Delhi Police has launched YUVA – a skill development programme under the Pradhan Mantri Kaushal Vikas Yojana (PMKVY). This programme aims to connect with the youth by upgrading their skill as per their competencies. National Institution for Transforming India (NITI) Aayog has suggested establishment of a judicial performance index (JPI) to check delay in finalisation of cases in lower judiciary. This will help the high courts and its chief justices to keep track of performance and process improvement at district courts and subordinate levels for reducing delay. The Union Cabinet has approved the proposal of the Finance Ministry to promulgate an ordinance to suitably amend the Goods and Services Tax (Compensation to States) Act, 2017. This will allow the GST Council to hike the maximum rate of compensation cess levied from the current cap of 15% to 20%. International Day of the Victims of Enforced Disappearances was observed across the world on 30th August 2017. 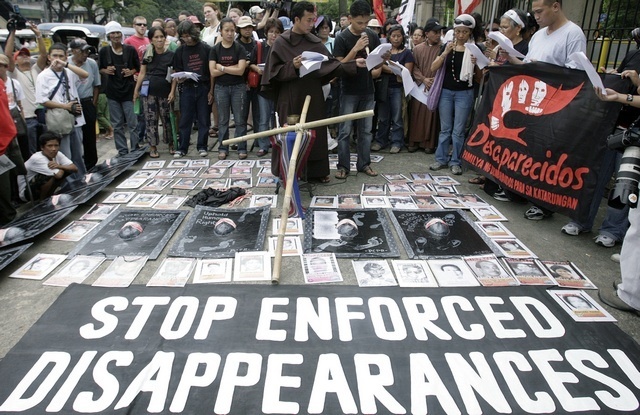 In 2010, the United Nations General Assembly had expressed its deep concern about the increase in enforced or involuntary disappearances in various regions of the world, including arrest, detention and abduction. thanks for the information. you summed up pretty well!